Select your eCommerce KPIs, then track their corresponding metrics. Ensure that you have an analytics system in place to measure metrics as accurately as possible. Set benchmarks for your eCommerce KPIs list to track success. Keep your digital marketing ads measurable and accountable to show clear results for your campaign budget and effort. That way, you can know exactly how much return you get on your marketing investment and ad spend. Google Analytics is the trusted tool for tracking website performance and eCommerce conversion success. 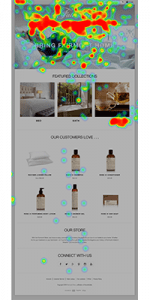 When you implement advanced eCommerce tracking, your store and code collect specific eCommerce KPIs that are important to ongoing budget optimization. Thanks to a line of code, you can track visitors coming to your website from multi-channel PPC ads. You need to set up benchmarks for your ecommerce KPIs since they provide insight into what is working, what needs improvement, and your growth rates. Understanding how ads and sales are performing helps you accurately calculate your Return on Ad Spend (ROAS) and make the necessary marketing adjustments. Ecommerce Conversion Rate is the percentage of visits that resulted in an eCommerce transaction. The estimated amount of total purchases a customer will make with your business over the lifetime they are with your brand. This is your revenue from marketing divided by expenses including your cost of goods sold (COGS). This your revenue generated from your marketing efforts divided by your marketing costs. Return on Ad Spend (ROAS) is the most popular profitability metric in eCommerce. ROAS measures how much money you make for every dollar that you spend on advertising. If ROAS is 1, you break even. If ROAS is negative, you’re upside down in your advertising efforts. If it’s greater than one, then you have a successful campaign, which you can further optimize with CRO + UX. You allocate $2,000 of your marketing budget to a PPC campaign. By tracking the clicks that campaign generated and following them on through to check-out, you determine those clicks generated $10,000 in sales. Every dollar of ad spend resulted in $5.00 worth of sales. Remember that ROAS is determined by dividing the total revenue from ads by the cost of those ads. 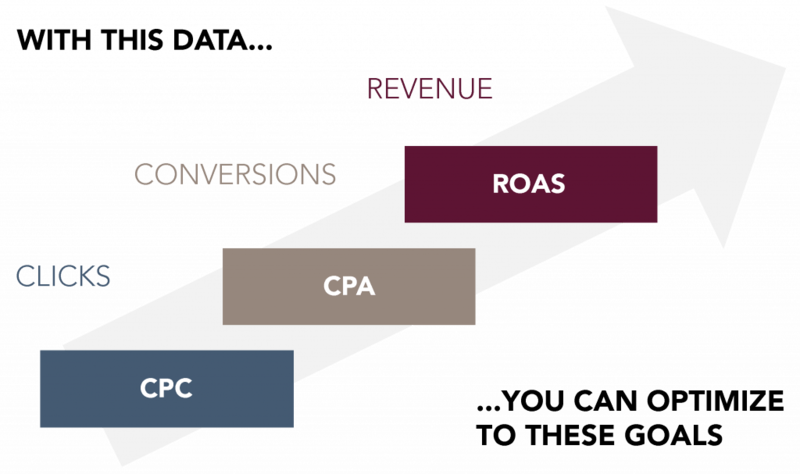 If revenue increases, but ad spend remains the same, your ROAS will grow. On the ad side, the goal is to spend less per click. On the Conversion Rate Optimization (CRO) side, the goal is to sell more. How can you accomplish both? We have some tips to help. We’re trusted by local businesses, SMBs, and enterprise brands to build PPC campaigns that generate ongoing value. We found the best way to maximize your marketing budget and advertising spend is to combine eCommerce KPI tracking through Google Analytics with a CRO optimization tool. 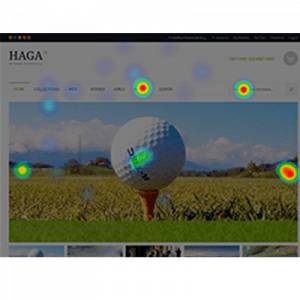 For example, we use our proprietary web tracking software, BIRD, to generate UX insights through heat, click, and eye-tracking maps and record user sessions. By combining our enhanced eCommerce tracking analysis with expert strategy, ad creative, and post-launch ongoing optimization, our system is transparent and accountable. Through ongoing tracking, measurement, and human insights research, we make your eCommerce campaigns rock solid. To see how much we can multiply your investment, we offer a free consultation to find marketing wins based on your margins, best sellers, seasonality, target audience, and more. Learn more about how to build a transparent ROI system for your eCommerce marketing, and get a complimentary Ecommerce Marketing Audit with one of our experts. Get Your 100% Free Marketing Audit!